The HEER Improved shell is specially designed for ranges of more than 40 km with very low dispersion (propable error < 0.4% of range). Its long-range capability has been obtained by optimizing the external ballistics via streamlining the body and equipping it with a base bleed unit to further reduce drag. The HEER has a new improved steel in the shell body together with 0.65 kg of extra TNT. 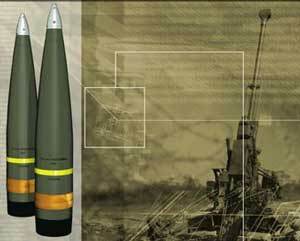 This increases the lethality with approximatly 50% The Bofors 155 mm HEER Improved shell is fully compatible with all artillery guns in 39, 45 and 52 calibers. It also meets the exceptionally high International standards of safety.